Today I went fishing with Whaler’s Cove Lodge Master Guide, Garfield George. Garfield is the chief of his house in Angoon, home of the Tlingit people. On the way fishing Captain Garfield shared his people’s local history, his family history and lots of local fishing knowledge. Spending time with him was fantastic. 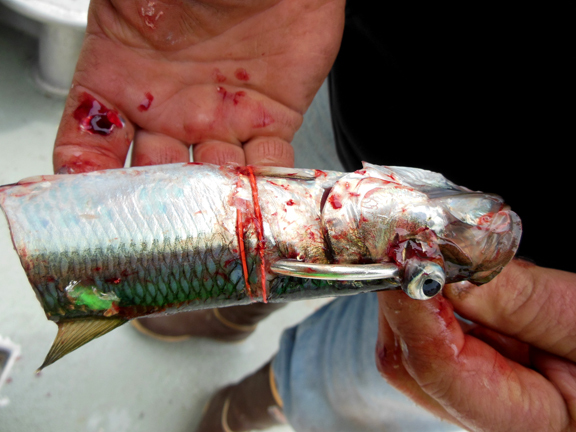 After anchoring Captain Garfield showed us how to use rubber bands to keep herring on the hook longer. He also showed how he cuts the herring to create a better scent field. 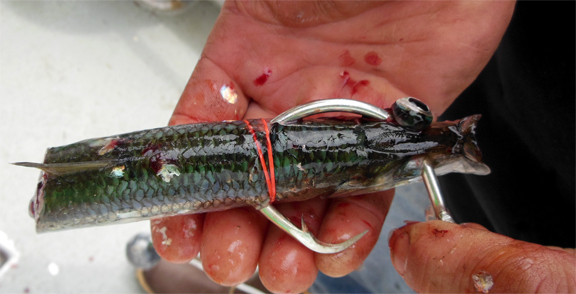 The technique is simple, two small rubber bands over the circle hook and then put the herring head through the hook and back out of the body below the neck of the bait. The method worked great and kept the bait in place. 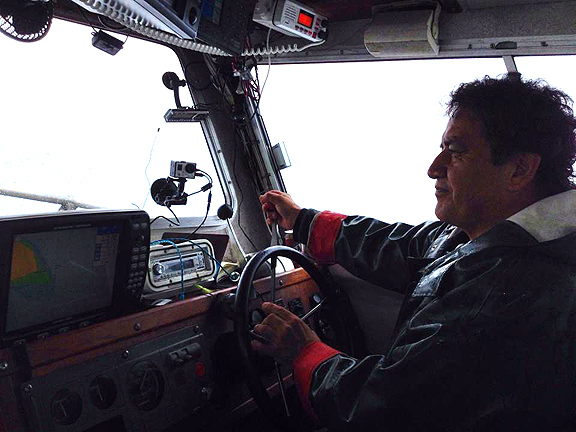 Captain Garfield George at the helm, pulling into Hood Bay, just minutes from Whaler’s Cove Lodge. 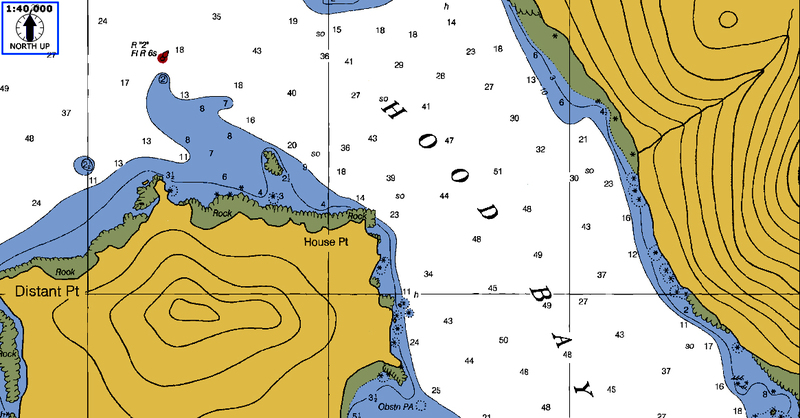 This entry was posted in Alaska Halibut Fishing Maps, Halibut Fishing Photos, Halibut Fishing Tackle, Halibut Fishing Tips, Whaler's Cove Lodge Halibut and tagged Garfield George, Halibut Fishing Alaska, Halibut Fishing Angoon, halibut fishing techniques., Hood Bay Alaska, How to bait circle hooks for halibut, Whaler's Cove Lodge. Bookmark the permalink.